This introduction to massage therapy brochure is an essential title for any massage therapist interested in educating their community. Ideal for networking with other professionals, trade show displays or new patient packages. 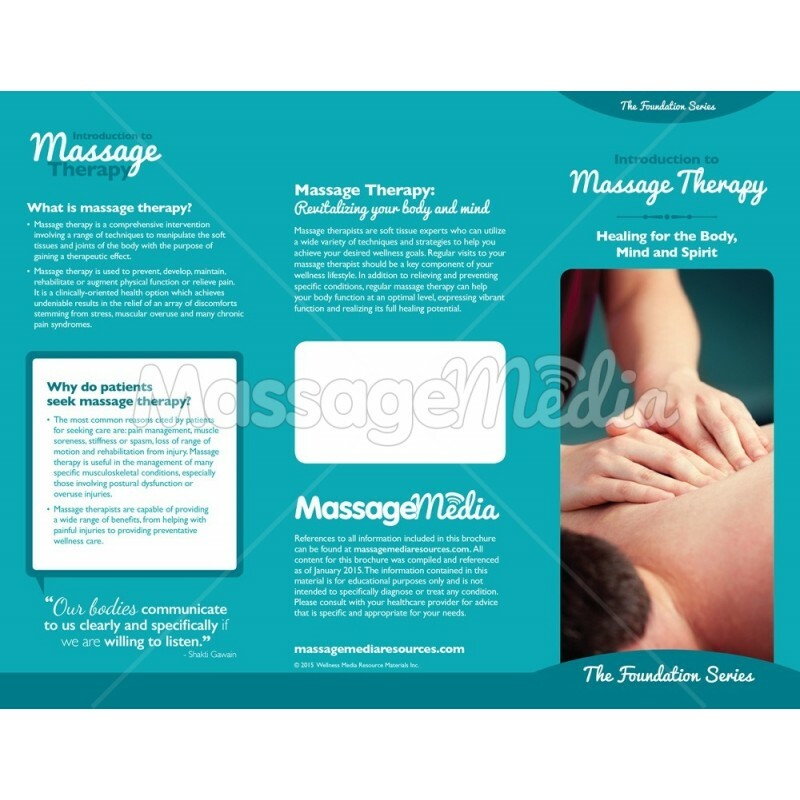 This brochure covers a wide variety of topics including massage therapy training, safety, techniques and common issues that can be helped with massage therapy. A section on preventative maintenance also encourages patients to remain consistent with regular care.